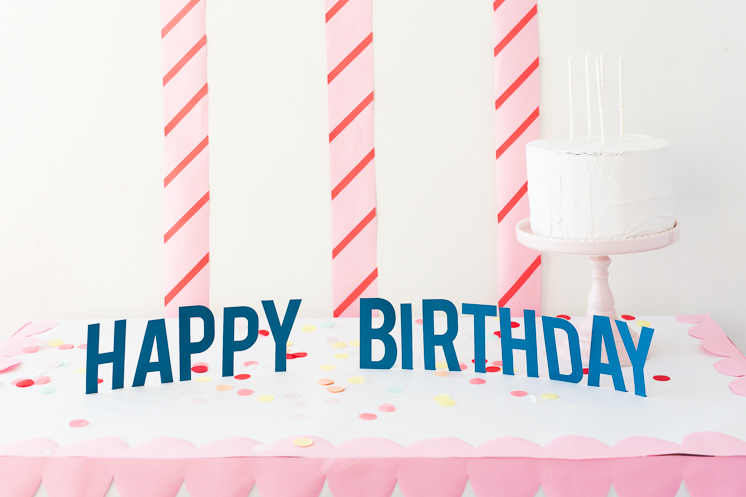 Do you dare throw a birthday party without a cake? It’s a quintessential element of the celebration! I just read that the custom of birthday cakes stretches back into the days of the ancient romans. Even then, people knew the importance of flour, butter, and sugar! Though today, I’m positive that ours are much cuter and most likely taste a million times better. 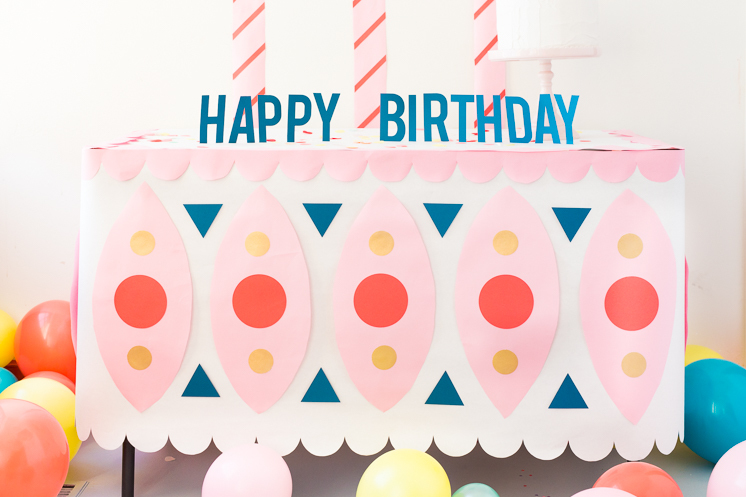 That being said, we really wanted to drive home the birthday cake theme and decided to create a birthday cake paper tablecloth based on an idea from Kathleen Ballos. So, now you really can have your cake and eat it too! We were inspired by this lovely illustration by Clarice Gifford. The whole thing is made from paper–our favorite (and cheapest) medium! Total, it cost about $5! Using the templates provided, cut out the decorative pieces in cardstock. 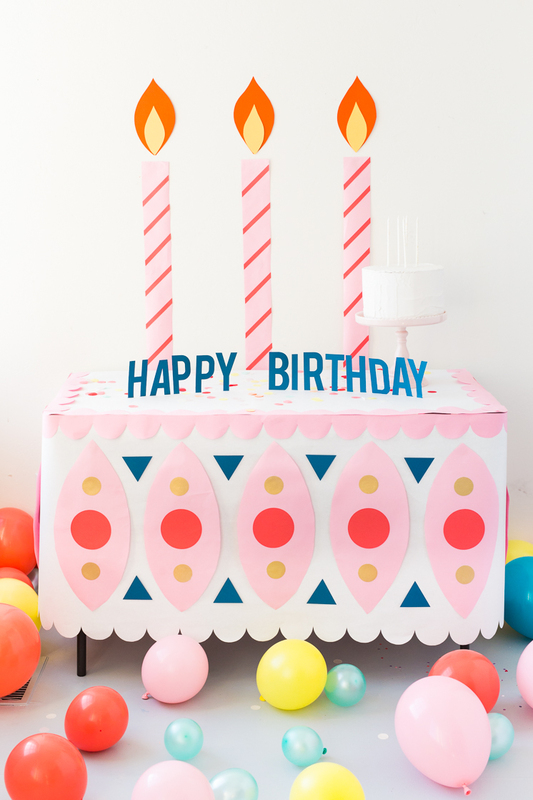 Using pink butcher paper create two scallop borders for the top edge of the table using and repeating the template. Adhere with tape rolls. 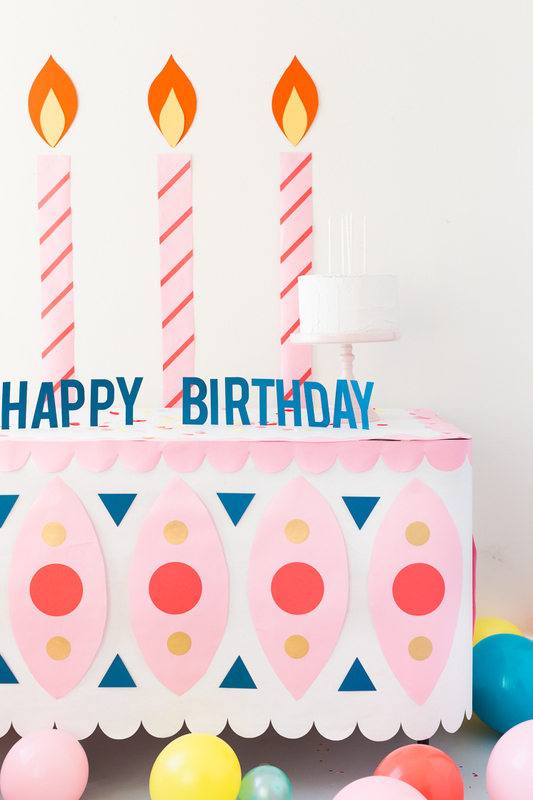 Cut out candles using the pink butcher paper and adhere with tape to the wall behind the table. Cut out flames from orange and yellow paper and stripes from coral paper and adhere to candles. 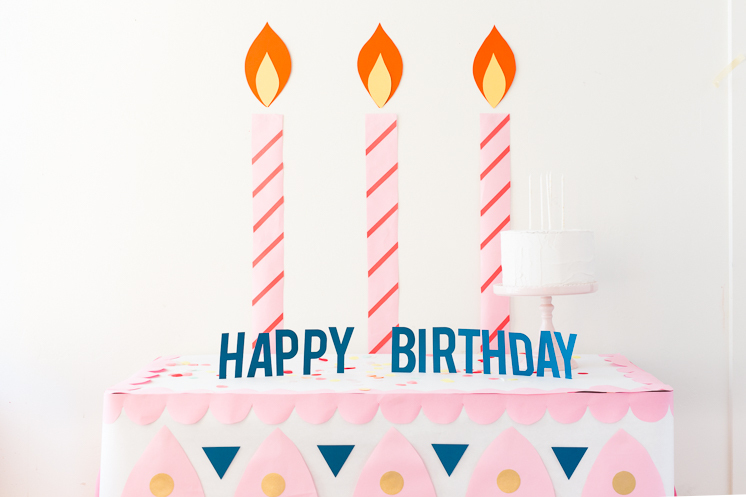 We printed out Happy Birthday in block letters and folded down the bottom edges so they could stand upright once glued into place.